There is nothing worse when you are trying to establish a garden than having a problem with pests. Pests will eat and otherwise damage nearly anything that you have planted. You could have a problem with common bugs to animals like birds. However, there are a few awesome methods available for organic pest control. The key to organic pest control is knowing which method will work the best for your area. If you have compost available, then keeping your soil healthy should not be a problem. 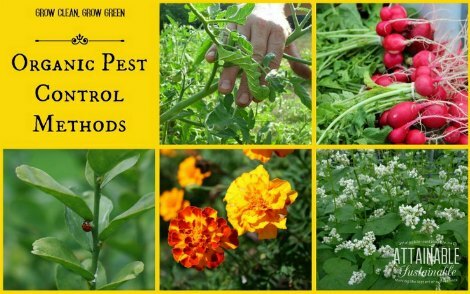 The next thing to do is look at all the ways to help keep pests out of your garden. Applying a chemical pest control product is not a good option as it can really be unsafe. The use of any organic pest control method is a much safer and healthier solution. One method that is easy to do is to add some plants that are resistant to certain types of pests in your area.